Sam heads up our Central Admissions team based in Chichester and may well be the first person you spoke to at First Steps. However, whilst all of our parents will have spoken to Sam or a member of her team at some point, they are unlikely to have met her. We therefore thought it would be good to get to know someone who plays a key role in the day to day running of the business a little better. Sam, please can you explain in one line who Central Admissions are? Central Admissions look after your child’s booking details, from your very first enquiry to your last invoice and any changes in between, working closely with all the nurseries and reporting into our Senior Childcare Manager. Cheryl and Sheryl – gets a little confusing but they usually introduce themselves as AM Cheryl and PM Sheryl as Cheryl works in the mornings and Sheryl works in the afternoons! How long have you worked at First Steps? I was Head Receptionist at a local city centre hotel. The variety that it brings as there are always new families starting. Even after all these years working at First Steps I can be asked a question I have never been asked before. What does a typical day look like in Central Admissions? Answering and making lots of telephone calls, typing lots of things onto the computer and filling in lots of paperwork. There are always a few cups of coffee and biscuits in the day too! Do you visit the other nurseries? Yes – I help the nursery managers and administrators with various things and attend meetings so I can sometimes be seen in their offices too. I like gardening. Although I am not always very good at it, most things usually survive! And, finally, some more gruelling questions that we know the children will want to know the answers to …! Marmite. Love it or hate it? 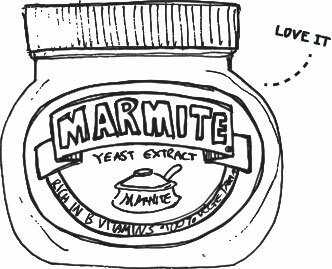 One of my favourite things – there is always a jar of Marmite in our cupboard! Definitely car because I love singing along to my music and no one can hear me in my car. Pop music or rock music? Rock music – the louder the better! Pirate – mostly because I have always wanted a pet parrot. Mayonnaise – especially with chips. Definitely choose winter as it gives me the opportunity to wear my rather extensive collection of boots.